Here I am in Temptations’ sock room, my favorite place to be. You’ve got to love a room filled with gorgeous, yummy sock yarn! 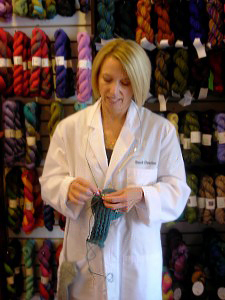 I am wearing my Sock Doctor lab coat and helping a fellow sock knitter repair a boo-boo. I have made it my priority to be as sock knowledgeable as possible. You are always welcome to bring your sock concerns into the shop. If you are too far away, feel free to email me your questions. I want you to love your socks! I knit two at a time on 32″ bit it is all personal preference. Give it a try! 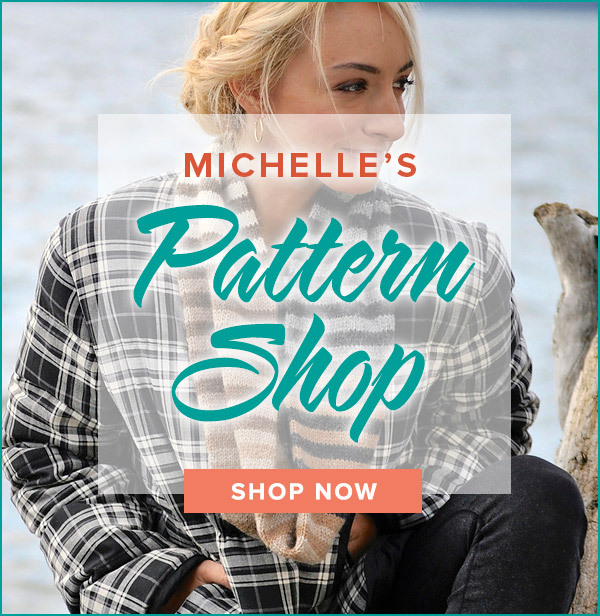 Hi Michelle….your videos are outstanding! I am so happy to have you knit along with me! I am a HUGE magic loop fan and you are wise to try this method. I use a 32″ inch circular needle for this technique. Of course the 60″ will get the job done, but the cord may get a bit annoying. Some people use a 40″ for the magic loop, but I find it a little long. 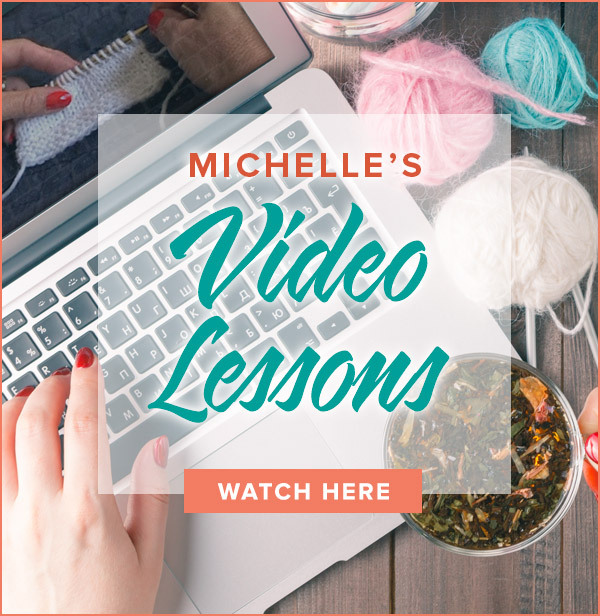 I hope you will get the opportunity to practice the magic loop method (watch my “Magic Loop” video) before the KAL and you will see why many people love this slick knitting method. Please let me know if I can be of further help! I’m very excited to be participating in your KAL in January with trekking yarn and skacel. I’ve printed the information and I’m getting my tools together, my only problem as a new sock knitter I need to know the exact length of the cord on the circular needle needed to construct your projects for the KAL. I ended up ordering 60″ circular needles i know this cant be right. I could possibly try my hand at the magic loop with this size?